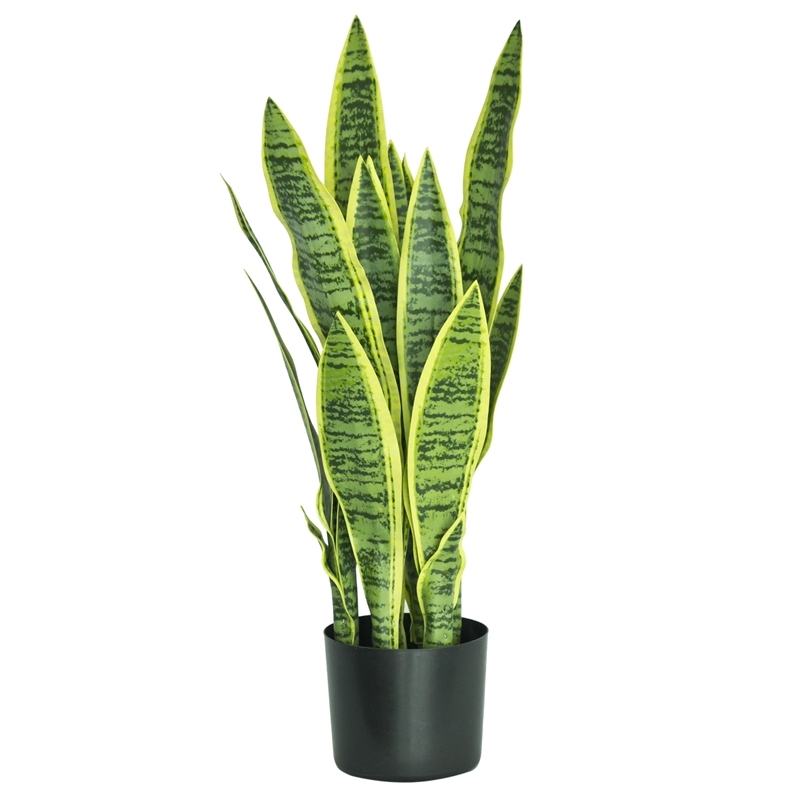 This beautiful Sansevieria Plant also known as Mother-in Laws Tongue stands tall and proud with its striking appearance of yellow and green foliage. 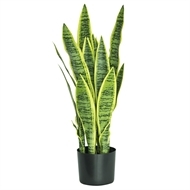 It's bold and clutter free lines make it very popular and one of the plants of choice for architecture and interior design. This potted decor may be artificial but its impressively coloured leaves appear lifelike enough to give any room a fresh look and will add style and “instant designer” appeal to your indoor surrounds. 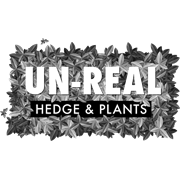 UN-REAL Hedge & Plants are about artificial plants that have instant designer appeal and are maintenance free and will fit any home décor. The “indoor only” range offers natural foliage to brighten up your indoor spaces.